Like it's Army counterpart, Marine units were drastically understrength, having only two of the three authorized rifle companies in each regiment and only four of the six guns authorized for each firing battery. Chief of Naval Operations asked the Commander-in-Chief, U.S. Pacific Fleet (CINPAC) as to how soon a reinforced battalion or reinforced regiment from the 1st Marine Division could be ready to embark for duty in the Far East Command. After consulting with the Commanding General Fleet Marine Force, on that same day he replied that a battalion could be ready in six days and that a regiment could be ready in ten days. Chief of Naval Operations directed the CINPAC to prepare a reinforced regiment with supporting air for immediate embarkation. Fleet Marine Force Pacific prepared Operation Plan 2-50 dated this date. It covered task organization, mission and instructions covering embarkation, equipment and supplies. It was hand carried to Camp Pendleton. Pending approval of the Marine Corps Commandant, the RCT-MAG was designated as the 1st Provisional Marine Brigade. Commandant, Marine Corps approved the formation of three rifle companies of three platoons each. 1st Marine Division General Order 9, dated this date, formally activated the First Provisional Marine Brigade effective 7 July 1950. Personnel required to fill shortages began arriving this date. Brigade officially activated. Marine Air Group (MAG-33) activated this date. Embarkation plans were completed, the first ships became available and loading began. 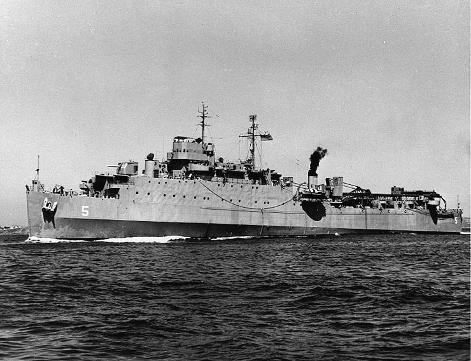 The first two ships LSD's (Landing Ship Dock) sailed on this date. One has been identified as the USS Gunston Hall (LSD-5). Three pictures appear below. 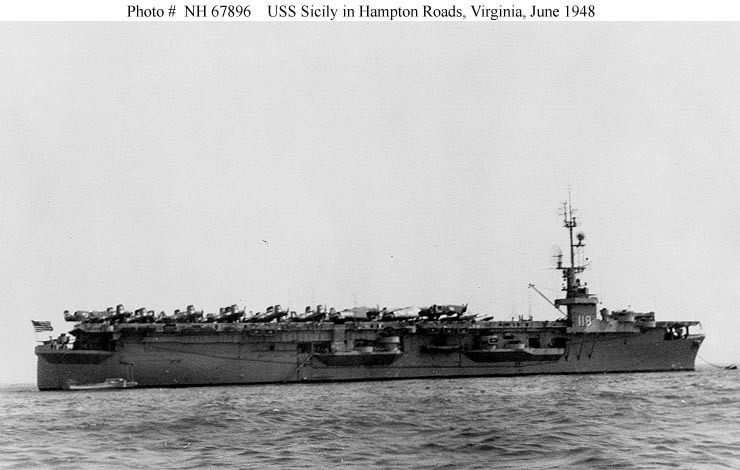 JULY 13: Loading was completed and all remaining troops embarked. JULY 14: Convoy sailed for Japan this date. Due to lack of shipping, approximately 200 assorted vehicles were left behind. The shortage was met in part by assignment of Army vehicles and by capture of North Korean vehicles. A total of 6,553 Brigade troops sailed. JULY 16: Generals Craig and Cushman and Advance Party departed by air for Tokyo. JULY 19: Generals Craig and Cushman and all the advance party arrived in Tokyo. JULY 25: Ground component orders were changed and the convoy sailed directly for Korea. JULY 31: MAG-33 arrived at Kobe, Japan. 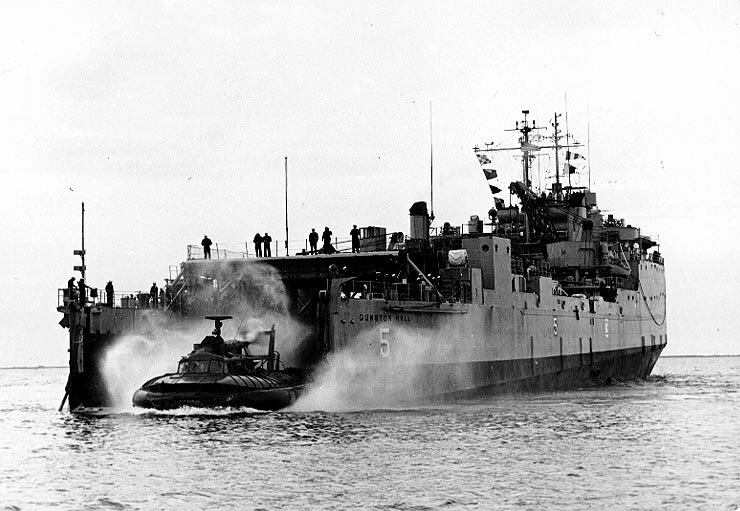 Marine Tactical Air Control Squadron 2 (MTACS-2) and ground echelon of VMO-6 left by Landing Ship Tank (LST) for Pusan. AUGUST 1: MTACS-2 and ground echelon of VMO-6 arrived at Pusan. The 70 aircraft of the three fighting squadrons launched from the CVE and landed at Itami. AUGUST 2: Ground elements arrived and began unloading this date. Air elements debarked at Kobe and went to Itami airfield where VFM-214 and VMF-323 were loaded on CVE's Sicily and Badoeng Strait shown below. The Brigades ground elements arrived at Pusan. The Brigade and the Army's 5th RCT were designated as Army reserve in the Masan area. 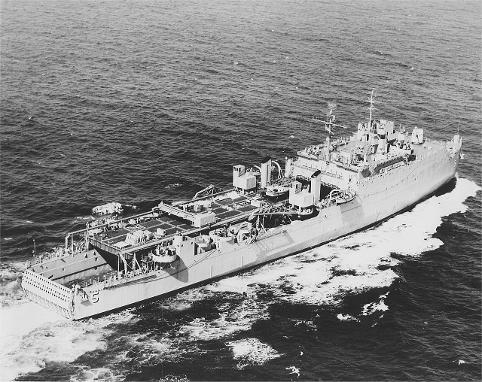 A radio net was established using thirteen LST,s and an APA anchored off Masan which were being used to supply the Brigade. The net served all units operating in the Masan area and also tied in with the Pusan net. The Brigade was attached to the 24thj Infantry Division and issued a warning order to prepare to move to the Chindong-ni area beginning at 9 AM. Ground and air elements attacked towards Chindong-ni supported by Corsairs flying from the two carriers shown above.